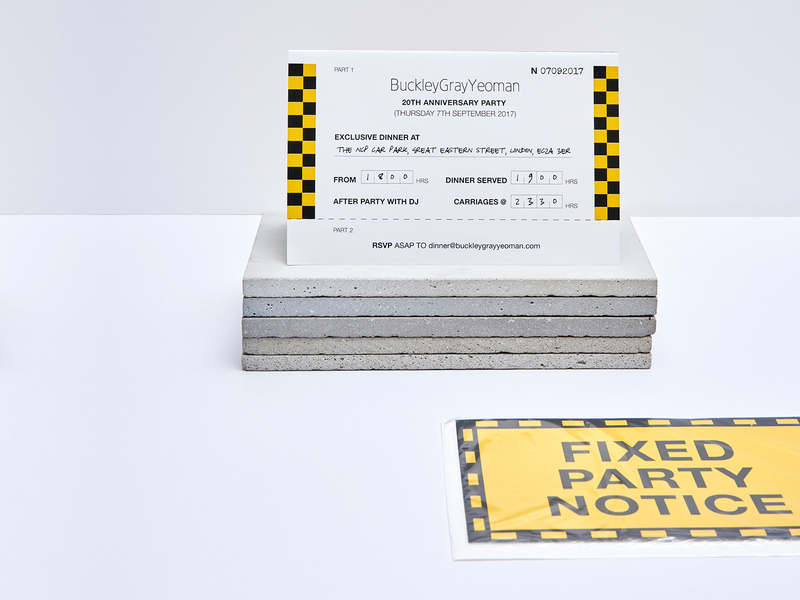 I have been working with award-winning architects BuckleyGrayYeoman for a number of years — designing their brand, website, and ongoing marketing. Every year the BCO Conference is held in a major city around the world. 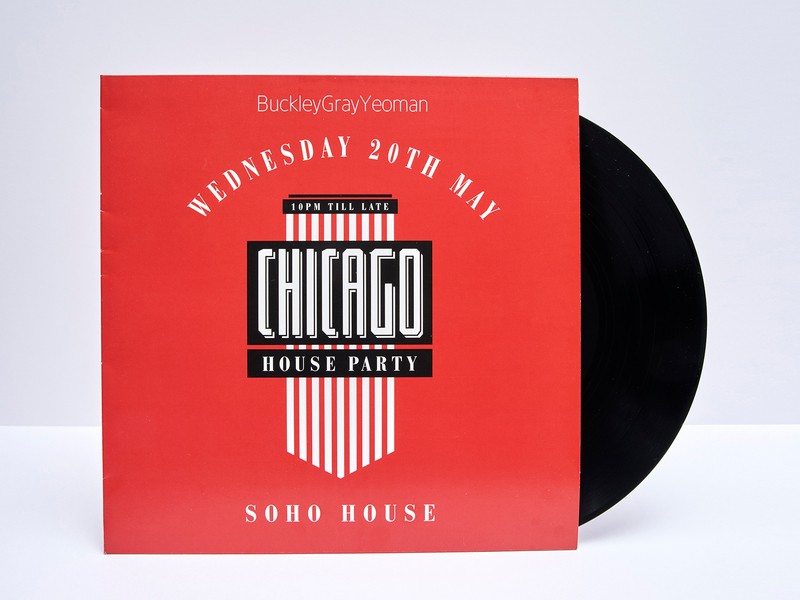 BuckleyGrayYeoman has staged a hugely popular party alongside the conference which we have worked together on to create a beautiful, surprising and elaborate invitation every time. 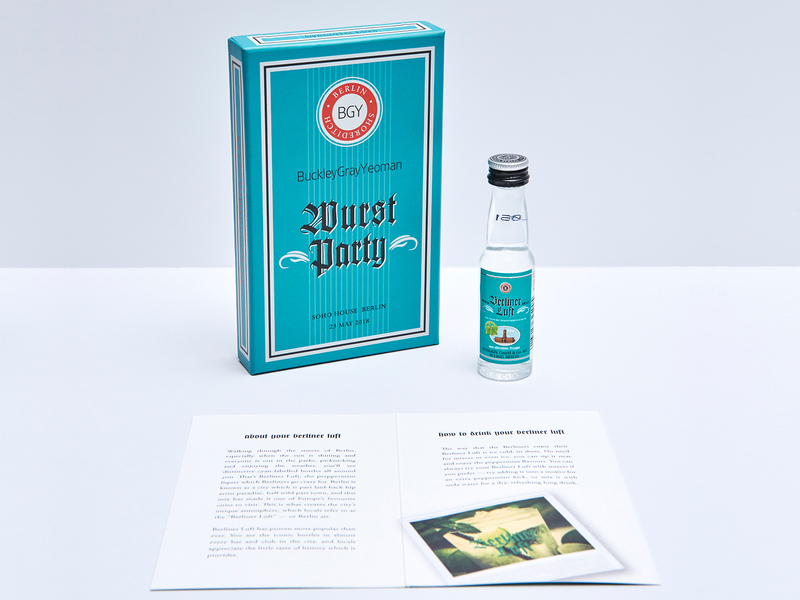 Each invite was themed for the city where the conference and party are held. 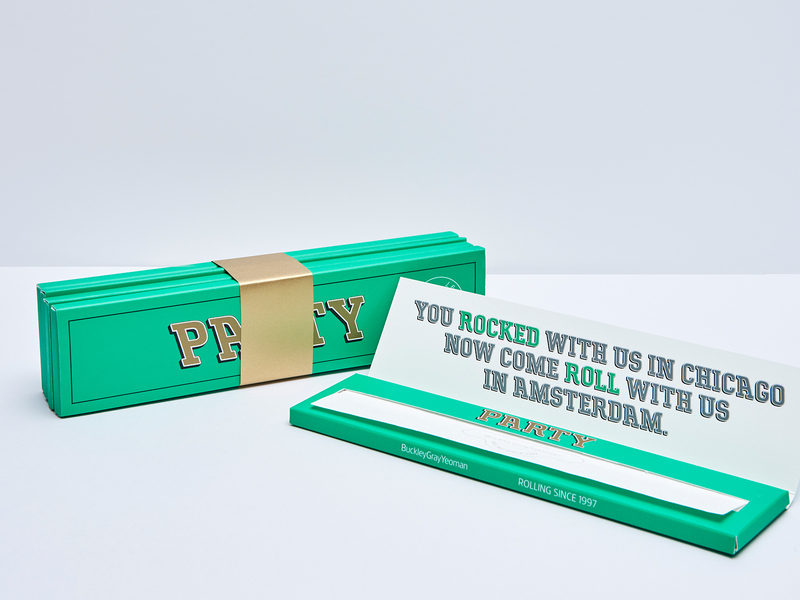 Chicago, Amsterdam, Berlin... All had their own specially designed invite with cultural significance — witty or controversial and always beautifully crafted. 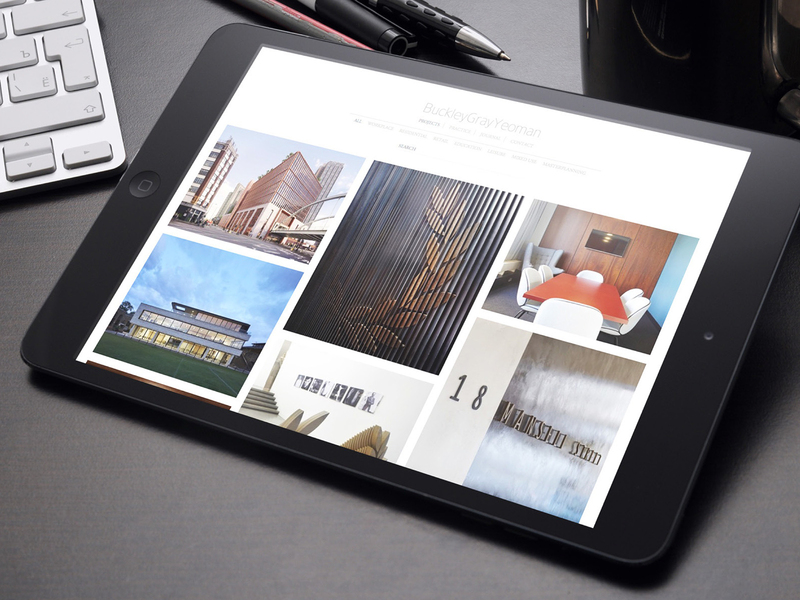 The aesthetic of the brand and website was design to reflect the timeless, high quality of their projects and their attention to detail. 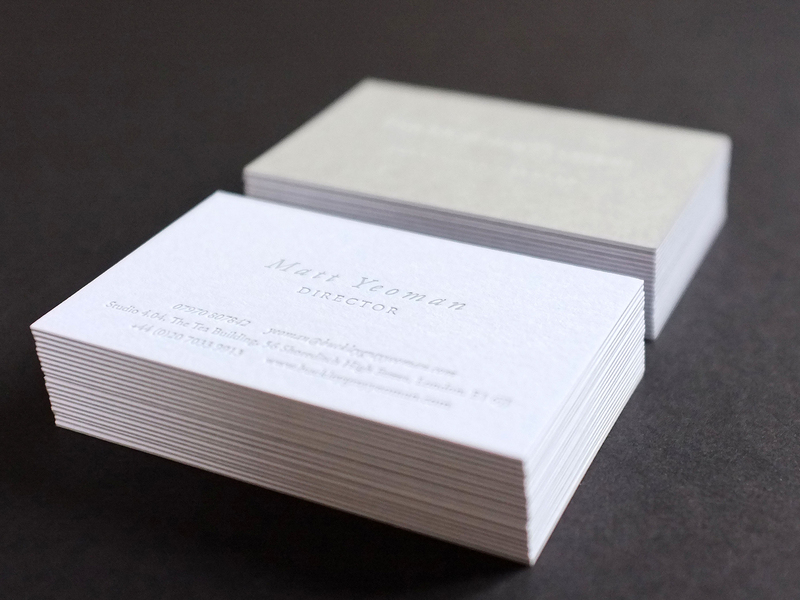 The understated and subtle brand serves as a solid base for other creative avenues that we have worked on that emphasize their fun, experimental, and creative side.